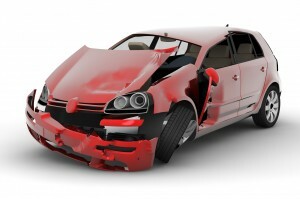 Injured in an Auto Accident in Denver, Colorado? Hurt in a Car Accident? We Can Help!! It is important that you get your Spine evaluated by our Certified Doctor of Chiropractic immediately. We have a team of Doctors that are experts in whiplash injuries and understand the mechanism of injuries that one sustains in auto Collision impact as slow as 5 mph can cause whiplash injuries, which may have damaging long-term effects on a Spine. Call our Denver Chiropractor office and our friendly staff will walk you through the process step by step. Denver South Chiropractic works with All Auto accident insurances and with Personal Injury Attorneys. Research shows effective Chiropractic treatments have proven successful for thousands of Auto accident patients. Our experienced Chiropractor can, in many cases, significantly reduce patients’ distress and allow them to return to their normal daily activities. Move all involved vehicles off busy roads. Use extra care when moving injured passengers; call an Ambulance, if necessary. Exchange names, addresses, phone numbers and insurance information with all involved parties, including any witnesses. Call your Auto insurance company. Call our experienced Denver Chiropractor for an immediate Consultation and Examination. Severe injuries can, and often do, result from the relatively low-impact force. The fact is that many people do not notice symptoms of neck, back, arm or leg injuries even severe injuries–for days or even weeks after an Auto accident. The longer you wait to get examined, the longer it can take to restore your health. It is important to have a physical exam immediately following an accident, even if the accident seemed minor. If you have reason to believe you or someone you know may have whiplash as the result of an auto accident, immediately stabilize and protect the head so that it cannot be exposed to further injury. For temporary relief, apply an ice pack to the area to help reduce inflammation and decrease the pain. Apply the ice pack for 15 to 20 minutes at a time, allowing at least 30 minutes between applications. Denver South Chiropractic & Rehab can make the referral to a Denver Auto Body repair shop, MRI, orthopedic doctor, Pain management clinics, Neurologist and to an auto accident Attorney in Denver if needed. It is important to call to schedule an immediate appointment if you experience any head, neck or back pain following an auto accident. Denver Chiropractor is conveniently located in Denver, Colorado near I-25 & S. Colorado Blvd.